Nintendo of America has announced the much anticipated release date for Luigi's Mansion: Dark Moon. Luigi's Mansion: Dark Moon will make its way across the US on 24th March, with Luigi travelling through more mansions and scooping up some more ghosts with his upgraded Poltergust 5000. Hopefully European gamers won't have much longer to wait for the title. While you're waiting, why not read our preview in the meantime? We can't wait to get our hands on this game, what about you? 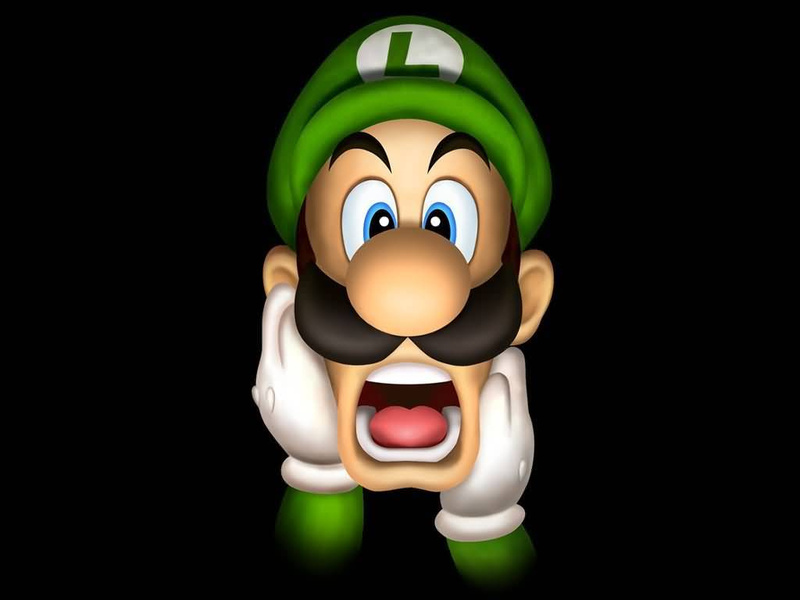 Will you be saving up your pennies for Luigi's next ghost hunt? Ack, this is far too close to Monster Hunter Ultimate! Too awesome! I'll see how the reviews are and if they're good, I'll buy this day-one! Please announce for Europe, please please! Busy busy first three months of the year! Is it CHRISTmas already?!?! I thought this was set to Feb? Oh well. Been looking for this game for years! Too bad it's on the handheld instead of big screen but this will work! March = The Month of Money. YES! I can't wait for this. The original Luigi's Mansion is one of my most favorite games of all time! Just watched a video and discovered this game isn't a 2D side-scroller. And was playing Paper Mario Sticker Star on my sons 3DS and that wasn't 2D. And Kid Icarus was a great game in single and multiplayer. And the Wii U gets another round of 2D NSMB. I tell you something ain't right at Nintendo HQ. Great news! I hope we won't be waiting too long after March 24th. Europe I mean. Why do they release the big stuff around Iwata, Mayimoto, and Reggie's birthday? between this and Bioshock infinite my time will be taken up pretty quickly. Finally a release date! Now just give us the fated day for Animal Crossing: New Leaf and my life will be complete. I can't see this getting bad reviews. Pre-order for sure! Well, only time will tell if I'm getting this day one - depends on how much extra money I'll have. That and the rest of the world is against me getting even a part-time job, so that's a factor too. Pre-ordered last week! can't wait! This is my most anticipated 3ds game and has been that way for a very long time. Finally, the wait is almost over .. Yey!! That's on my birthday!!! I cannot, will not, will ever never not wait for this. I want it now. Lovin the game case for it!!!!!!! 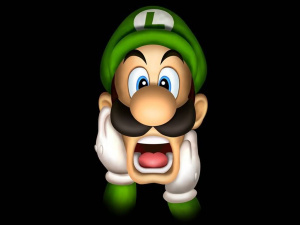 So, Nintendo, now your saying that instead of the 40$ I need to save up for by March 24th for Pokemanz Mystery Dungeon, I now have to find 80$ INSTEAD CUZ LUIGI'S MANSION DARK MOON LOOKS SO DANG GOOD? It's time to get some allowance advancements. Getting this, PMD, and Monster Hunter all within a week... WOOHOO!!!!! Also hows this game use the Nintendo Network? Its got the logo in the top right corner. Hell yeah! I can't wait for this one. Well...looks like March 24th is going to be quite expensive for me and my poor 3DS. Definitely needs a new battery...soon. ....I'm going to be poor come March. Make a Green Luigi 3DS bundle! It's about time that LM:DM got a solid release date. This game has been on my wishlist for months now. It's also a good thing that I still have my Gamestop giftcard from Christmas. I may not go broke after all! Yes its almost here! Weegee time! Hopefully I can convince my wallet to keep itself shut 'till then. @M0HAWKMonkey That would be pretty cool. Especially since there still isn't a green 3DS or 3DS XL yet! I was beginning to wonder when this game was actually coming out. It was supposed to be a launch title! This wil be the next 3DS game I get. Looking forward to this. Yeah... still never got around to playing the first. I'll order it online when I get a chance. Apart from Luigi's Mansion being a fun game, I remember associating it with the joy of obtaining a new console. It was the first game I remember seeing a demo of when the "Dolphin" was in the works, and then I remember it being one of the first games I played on the after-named Gamecube. Can't wait for the much awaited sequel. wth this seems to be delayed more and more each time -_- i thought i heard the end of this month now march? Going to play the GameCube version in anticipation. Only Nintendo can have cool multiple franchises like this. Hope this will one day become a trilogy!